Amnesty International welcomes the position of the UN High Commissioner for Refugees (UNHCR) calling on European Union (EU) member states to halt transfers of asylum-seekers back to Bulgaria until April 2014. “The position taken by the UNHCR highlights the shameful treatment of asylum seekers in Bulgaria,” said Barbora Cernusakova, Amnesty International’s Bulgaria researcher. The UNHCR argues that due to systemic deficiencies in the reception conditions and asylum procedures, EU Member States should not return asylum-seekers to Bulgaria even if it is the first country of entry. Under the EU regulation the first country of entry is responsible for the determination of their status. 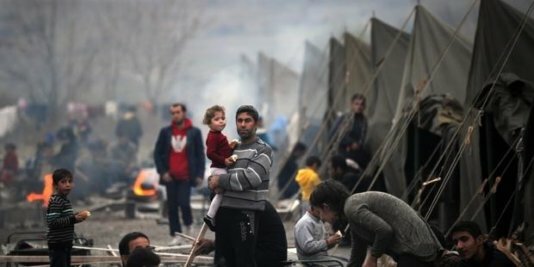 "The position of the UNHCR must be treated as a serious criticism of the failure of Bulgarian authorities to provide adequate access to food, shelter and healthcare for asylum-seekers. In the next three months the Bulgaria must take immediate steps to improve these deplorable conditions,” said Barbora Cernusakova. The Bulgarian authorities are failing their international obligations to take adequate measures to respond to the large number of people arriving at the borders of the country. According to government statistics 11 606 entered the country in 2013. As a result, hundreds of people in need of protection have ended up living for months in appalling conditions and without timely and unimpeded access to asylum procedure. “The three-month period until next reassessment by the UNHCR is an opportunity for the Bulgarian authorities and the European Union, together with non-governmental and inter-governmental organizations – to work together to improve the reception conditions and asylum procedures," said Barbora Cernusakova. Concerns expressed by the UNHCR – and in December 2013 also by the Council of Europe –echoed the findings of human rights organizations, including Amnesty International which showed that refugees and migrants in Bulgaria lack access to basic services, including food, healthcare and sanitation.